Garage door repairs - It is very important to keep your garage door in working condition at all times to ensure safety and security; which simply means when you need garage door repairs please attend to them as quickly as possible. By putting it off it will just cost you much more in the long run as one breakage will lead to the next if not fixed. 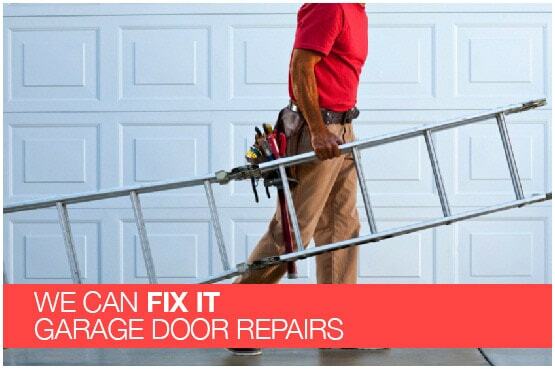 Rightfit garage doors can assist with garage door repairs of All Types In Pretoria, Centurion and Midrand. A common problem is that the garage door won’t open or close. If this is the case and you’ve got an electric opener; a good solution is to check the keypad first; which may simply need to be reprogrammed. Another problem could be that the door sticks when opening or closing. This may mean that the rollers and hinges probably need lubricating. Tracks may also be dirty, clogged or out of alignment. Lubricate both the tracks and the rollers using garage door lubricant spray or powdered graphite in the tracks, and household oil or silicone spray on the rollers. If there are any pulleys, lubricate them with the same lubricant you used on the rollers. Check these metal tracks and look at the mounting brackets that hold the tracks to the walls. If they are loose, tighten them. Tracks can be cleaned with concentrated household cleaner to remove dirt and hardened grease. With the door closed, you should examine the tracks for dents, crimps or flat spots. Often you can pound such damaged spots out with a rubber mallet, hammer or a block of scrap wood. If they are badly damaged it is better to have them replaced. Garage doors operate on spring tension or torsion. The door moves on metal tracks on the garage walls and heavy springs provide the power. In most cases, when the door does not work easily, the springs are the cause. Springs are the most important and most dangerous component and it’s always best to have a qualified technician to repair or replace them for you. Check the tracks with a level to make sure they are properly aligned. Both tracks must be at the same height on the garage walls. If the tracks are not properly aligned, loosen but do not remove the screws or bolts that hold the mounting brackets and tap them carefully into position. Check the springs. On swing-up doors, the spring on each side is hooked into holes or notches. To adjust the tension, move the spring hook to the next hole or notch. On roll-up doors, the spring on each side is controlled by a spring cable on a pulley. To adjust the tension of this type of spring, pull the cable farther through the plate above the door. Caution: Do not try to repair a spring or replace it. The tension is so great that the spring could injure you. For doors with this type of spring, rather contact Rightfit garage door repairs.